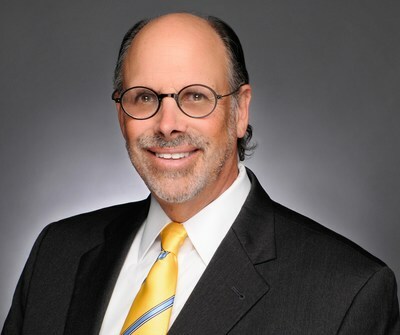 BALTIMORE, April 10, 2019 /PRNewswire/ -- M&T Bank (NYSE: MTB) has named Michael D. Berman as President and CEO of M&T Realty Capital Corporation®, the company's wholly-owned nationwide commercial mortgage banking subsidiary. Berman is responsible for managing the operations of M&T Realty Capital Corporation (M&T RCC), which is a direct multifamily and seniors housing lender for Fannie Mae DUS®, Freddie Mac and FHA/HUD MAP and LEAN programs, and provides life insurance company and CMBS loans for other commercial real estate property types through correspondent relationships. M&T RCC also offers a nationwide bridge lending program for multifamily, seniors housing, and healthcare facilities. Headquartered in Baltimore, M&T RCC originated $4.88 billion of multifamily and commercial loans in 2018, which represents the subsidiary's highest loan volume to date, and currently manages a servicing portfolio of $18 billion. M&T is one of six banks nationwide to offer all three agency lending programs, and has expanded its life insurance company correspondent platform over the past two years. "Michael brings extensive experience in managing commercial banking originations and knowledge of public policy issues related to real estate finance which will enable him to be an effective leader for this growing line of business," said Gino Martocci, Executive Vice President, M&T Bank Corporation and M&T Bank. Tari Flannery, current President and CEO of M&T RCC, is retiring after 28 years with the bank and serving almost two decades in her current role. During her tenure with M&T, Flannery served as a member of both Fannie Mae and Freddie Mac Advisory Committees. She was an active member of the Mortgage Bankers Association (MBA), and most recently served on the MBA Board and the MBA Investment Committee. Flannery is a former recipient of MBA's Distinguished Service Award, and was named one of Real Estate Forum's 2017 Women of Influence. "I am committed to carrying forward what Tari Flannery has created, a very strong business focused on superior customer service, consistent investor returns and credit profiles, and a caring employee team culture," said Berman. "I look forward to leading the M&T Realty Capital team, and continuing to build on its record of success and smart growth. The strength of our parent company M&T Bank and its multidimensional services provide significant differentiation in the market." Berman was the co-founder, president and CEO of CW Capital, a national multifamily and commercial real estate lender. From 1991 to 2012, CW grew its annual loan production from $40 million to $4 billion. In 2011, CW Capital was the third largest multi family lender in Fannie Mae, Freddie Mac, and FHA programs. From 2012 to early 2014, he served as Senior Advisor to HUD Cabinet Secretary Shaun Donovan, serving as his liaison to the White House and Congress on GSE reform and other housing issues. For the past five years, Berman has been a consultant to several multifamily and commercial lenders working on corporate growth as well as digital strategies. He has also continued his policy work as a Fellow at the Harvard Joint Center for Housing Studies and the Wharton-Penn Institute for Urban Research, focusing on affordable rental housing and flood risk/resiliency. He was the Chairman of the Mortgage Bankers Association in 2010-11, and led their GSE reform efforts in 2008-11. Berman holds a B.A. in Government from Harvard University, and a J.D. from University of Pennsylvania'sLaw School.